Cartoons are an essential part of every childhood and without a doubt the most entertaining aspect in every kid’s life. 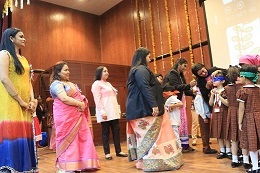 They help kids learn about the world around us about new emotions, life issues and other important things. 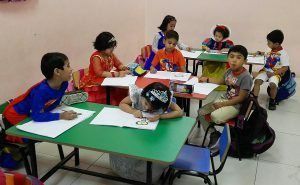 The KG wing of the Bhavans SIS celebrated the Cartoon Day on May24 2018. 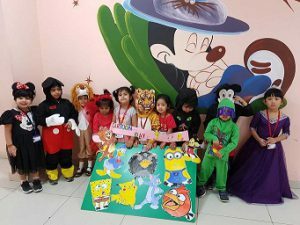 The children came dressed to school in their favorite cartoon characters and were delighted to see their peers in a similar fashion. 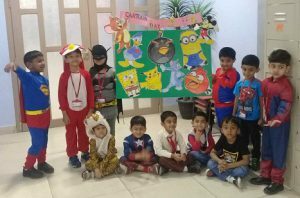 Each child spoke on how their favorite cartoons influence them in their daily lives. 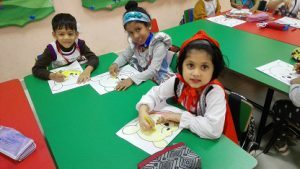 An hour of educationally oriented cartoon watching as included in the day’s activities inspired the children to dance and to talk in a new, imaginative language. 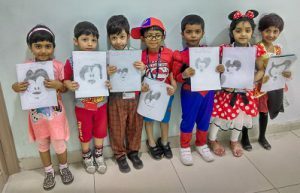 The children of KG2 drew an image of the iconic Mickey Mouse in their activity book. 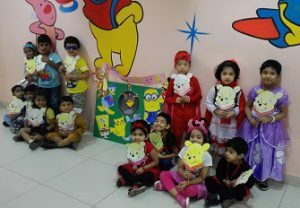 The activity for KG1 was that of coloring Winnie the Pooh and making a hand puppet out of it. 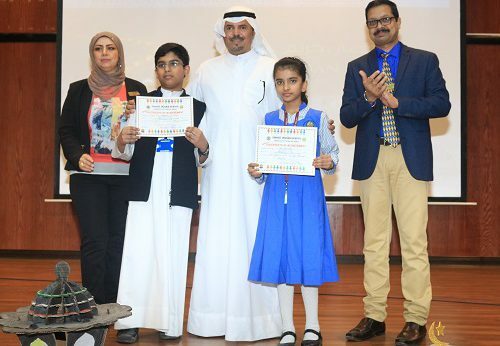 The Cartoon Day was a day full of positive messages and one to rejoice. 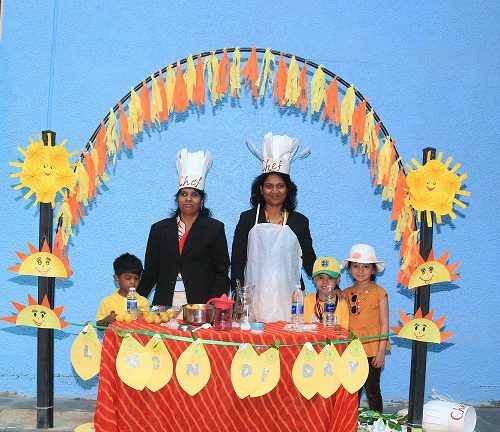 It bonded the kids well and brought out the best childhood innocence.